Last week I shared this beautiful view we had while picking apples at -Carter Mountiain in Charlottesville, VA. We stopped to pick up some apples and some cider while traveling back from our good friends’ wedding in Smith Mountain Lake, VA. 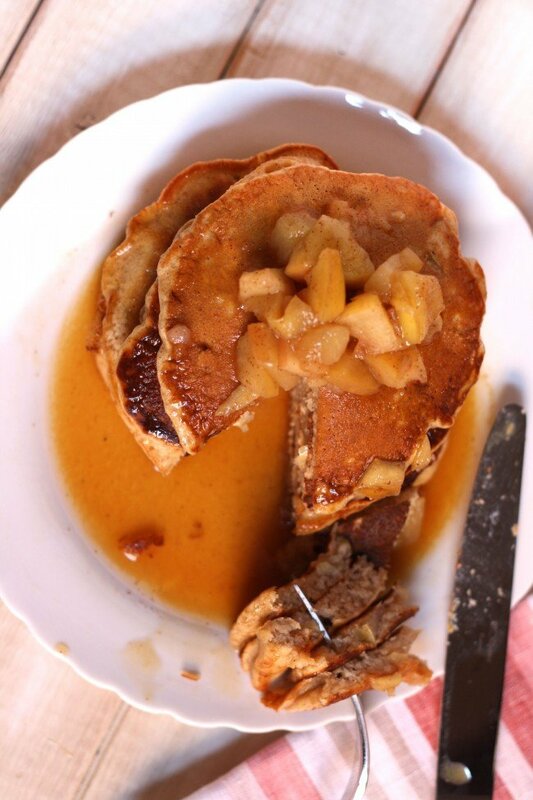 This weekend, I was enjoying my lazy Sunday routine of doing nothing and catching up on looking at some of the blogs that I love so much, when I stumbled upon this apple cider pancake recipe from Use Real Butter. I knew immediately this was going to be our breakfast. I adapted it a bit because we didn’t have all the ingredients and I was only making it for 2, but they turned out perfectly. If I am going to make pancakes from scratch, this is definitely going to be my go to recipe. It was apple-y and sweet, but not in an overwhelming way. The reduced apple cider was the perfect syrup. Please note: This is Tom as my hand model. He wanted a shout-out. 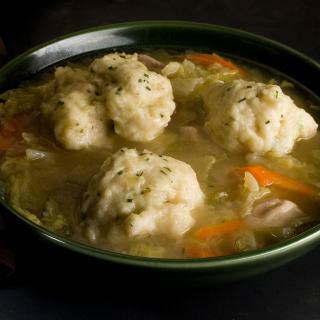 Looking at these pictures makes me want to have these for dinner too! 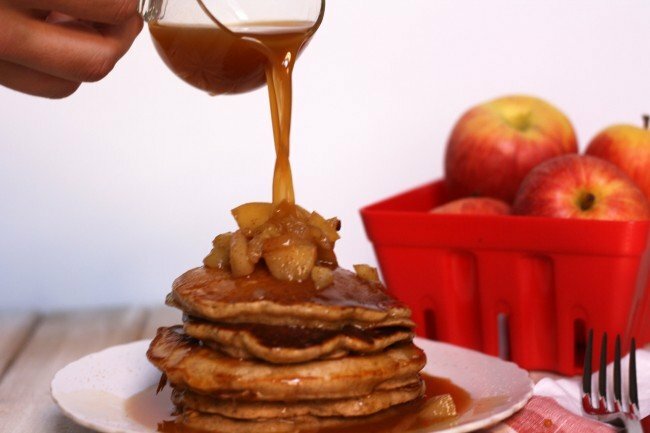 How to make Apple Cider Pancakes Recipe ? 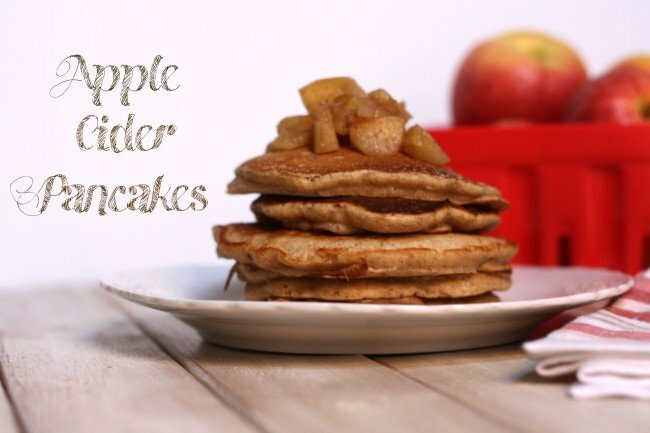 Apple Cider Pancakes recipe has an incredible taste. 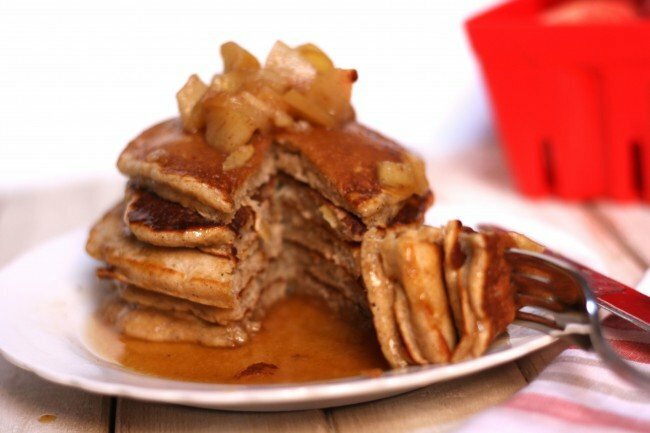 apple cider Pancakes is great, even though it is a little difficult to prepare. you should try it. Begin by reducing the cider. Boil the cider in a saucepan until reduced to 1/4 of the original amount. Allow to cool completely. 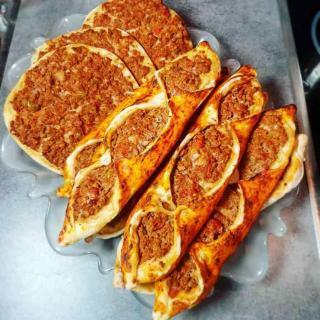 This can be made ahead. While the cider is reducing, cook the apples. Mix apples, cinnamon, and cloves. 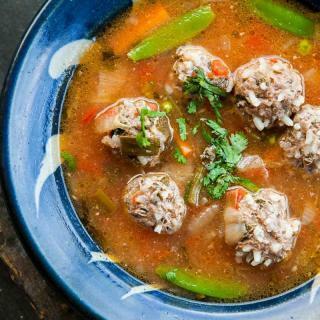 Place in a sauce pan and cover just the bottom of the pan with water. Heat over medium low heat until the apples become soft. Prepare the pancakes by mixing the dry ingredients together. In a small bowl beat the egg, then add the milk. 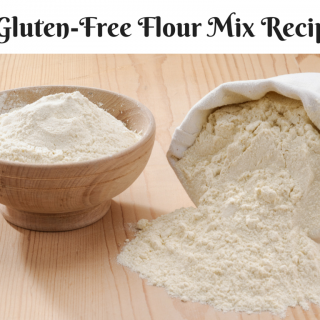 Add the milk mixture to the flour and mix until combined. Add 1/3 cup of the reduced apple cider to the mixture and stir just until combined. Do not overmix. Stir in half of the cooked apples. Heat a frying pan over medium heat. Add oil or butter to prevent sticking. Drop 1/4 cup of batter into the hot pan. Turn the pancakes after the pancake begins to bubble. Reheat remaining apple cider reduction if it has become cold. 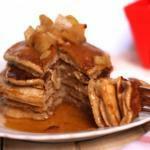 Stack pancakes and top with remaining cooked apples, cinnamon sugar, and remaining reduced apple cider.